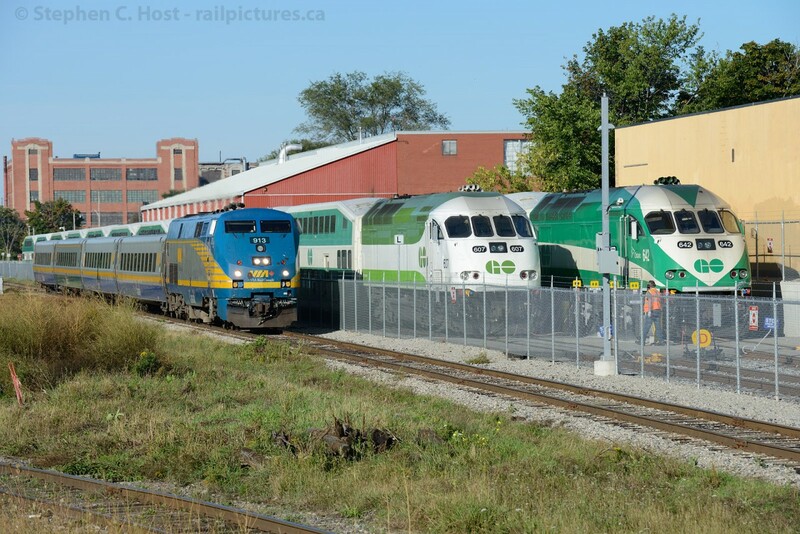 Railpictures.ca - Stephen C. Host Photo: VIA 84 is passing the GO Transit Kitchener layover facility, with equipment for Trains 208/212 resting for Monday mornings commute. 607, the only engine in the ‘new’ scheme at present, rests beside 642 beside it providing a comparative. | Railpictures.ca – Canadian Railway Photography – photographie ferroviaire Canadienne. Caption: VIA 84 is passing the GO Transit Kitchener layover facility, with equipment for Trains 208/212 resting for Monday mornings commute. 607, the only engine in the 'new' scheme at present, rests beside 642 beside it providing a comparative. Damn!!! Thats nice, Steve. Never thought I would want to go get me some GO.